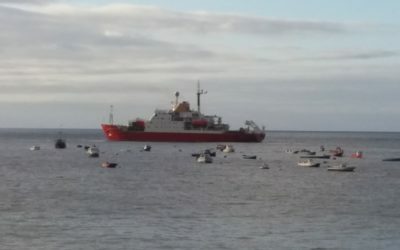 The RRS James Clark Ross left the Falkland Islands yesterday (15th March) and is travelling towards Tristan Da Cunha, with expected arrival on the 22nd March. 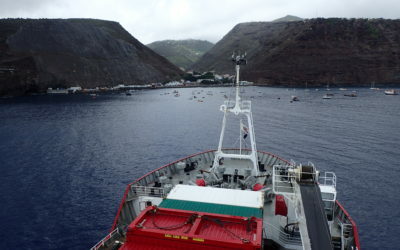 The vessel will survey seamounts at Tristan da Cunha and St Helena over a total of 16 days. 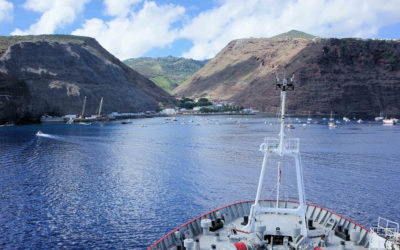 The food security and economies of the British overseas territories in the South Atlantic, Tristan da Cunha and St Helena, are heavily reliant on harvesting marine resources and tourism. Most of these resources are taken from the small coastal shelf areas and seamounts that are isolated in vast areas of deep ocean. Understanding how vulnerable these resources are to current and future harvesting, climate change and species invasion will be key to maintaining the future economic and cultural security of these communities. 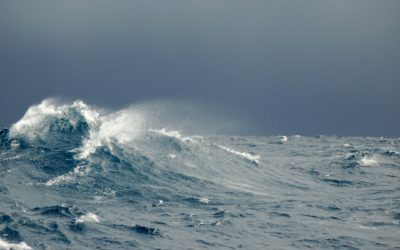 The survey around Tristan da Cunha will focus upon biodiversity and habitats associated with the seamounts in the centre of the Exclusive Economic Zone (EEZ) between Gough and the northern islands – the main fishing area. The St Helena survey will focus upon improving the understanding of the food webs that underpin tuna fisheries around St Helena. 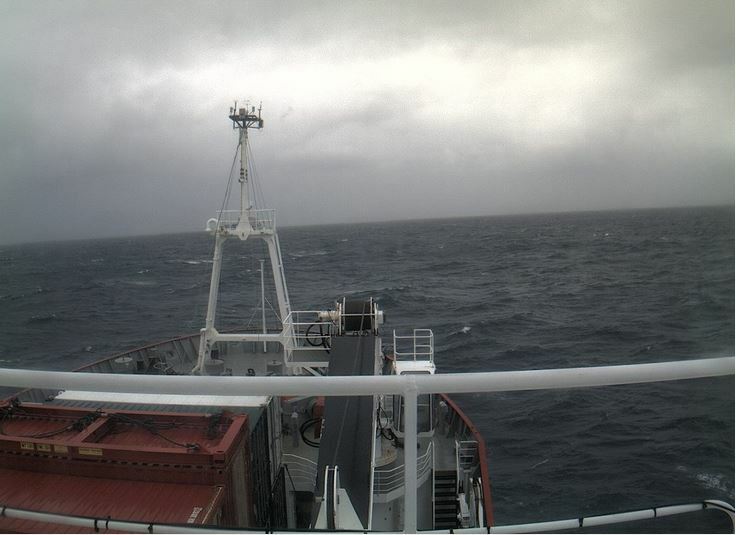 The RRS James Clark Ross heading towards Tristan da Cunha and St Helena. 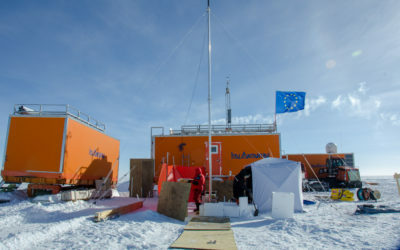 Scientific equipment on board the RRS James Clark Ross will record high quality bathymetry data, recording the sea floor depth and structure. Deep sea cameras deployed from the ship will capture images of seamount habitats and fishery impacts whilst scientific trawls will take samples of species that inhabit Tristan waters. Oceanographic data such as currents, temperature and salinity will we measured to help define ocean conditions. This project will provide the scientific information necessary to develop policies to manage marine ecosystem resources, especially those relating to food security and eco-tourism. science to help Tristan manage their EEZ.  This is a collaboration with multiple partners including Cefas, SAERI and the RSPB.